About 360,000 Wisconsin residents are using the tax credits to pay for coverage. (Bloomberg Politics) — Wisconsin Gov. Scott Walker wants everyone to know that if the Supreme Court erases health care tax credits for hundreds of thousands of Wisconsinites this month, it won’t be his fault—or his problem to fix. In a conversation after his speech Tuesday to Florida Gov. Rick Scott’s economic summit in Orlando, Bloomberg asked the likely Republican presidential candidate what Wisconsin should do if the justices limit access to premium tax credit subsidies under the Patient Protection and Affordable Care Act (PPACA) through their ruling on King vs. Burwell (Case Number 14-114). Should states do anything about it? 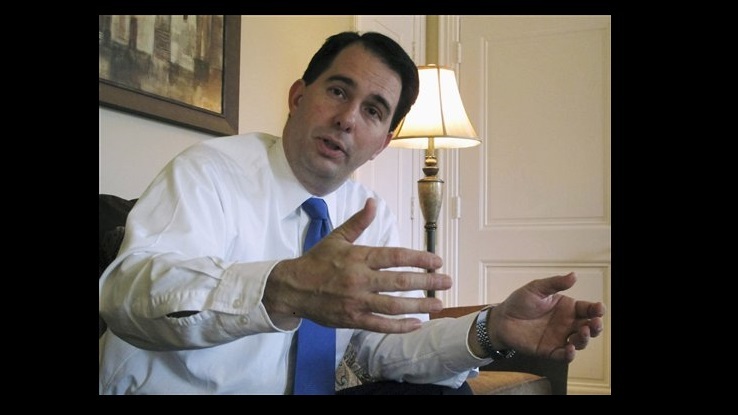 Walker didn’t say what sort of fix the federal government should enact. More than 360,000 Wisconsinites could lose their health insurance subsidies and potentially their coverage as a result of the Supreme Court ruling, according to the Kaiser Family Foundation, a nonpartisan research organization that focuses on health care. Wisconsin is one of three dozen states that declined to build a state-based PPACA exchange, so many of its residents buy insurance through the federal exchange. At issue in the King vs. Burwell case is whether the text of PPACA confines premium tax credits to Americans enrolled through state-based exchanges. Oral arguments in March indicated a sharply divided court; a decision is expected by the end of this month. Scott similarly suggested that his state won’t act in response to such a ruling, which threatens subsidies for some 2.5 million Floridians. “I think it has to be a federal fix,” he said.